The Indianapolis Colts could be without future Hall of Fame WR Reggie Wayne for their next contests with the Pittsburgh Steelers and New York Giants, before they head into a BYE week 10. Wayne injured his elbow in the shutout win over the Cincinnati Bengals Week 7. Andrew Luck has targeted Reggie Wayne 62 times (10th amongst WR) but his 38 receptions have led to just 434 yards and 1 TD. Those of you who own T.Y. Hilton better hope that his absence does not hurt Hilton's value. Hakeem Nicks and rookie Donte Moncrief will battle for the extra playing time. They have combined for just 44 targets this season. 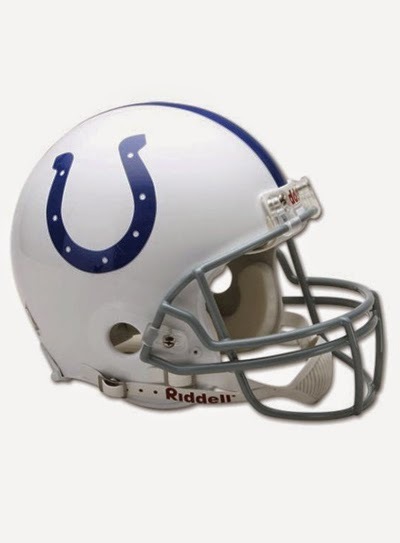 Luck has done a great job spreading the ball around this season, so look for Dwayne Allen, Ahmad Bradshaw, Coby Fleener and even Trent Richardson so see some extra targets!